Finally. A BI tool that actually helps you pay attention to what matters. Business Intelligence tools have been disappointing people for years. It usually starts with a long implementation cycle, and then, after all the fuss, you end up with a complicated tool with only some of your key data that no one actually ends up using. Well no more. 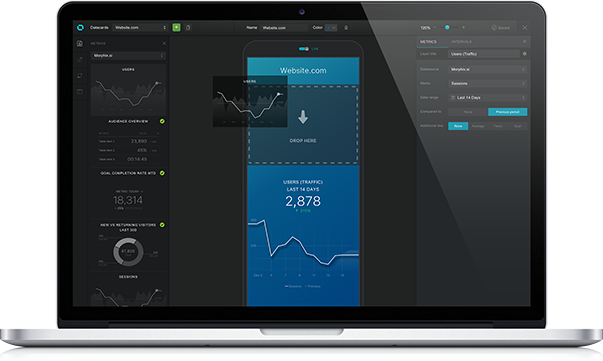 Databox makes it easy to keep your business’ key metrics front and center. 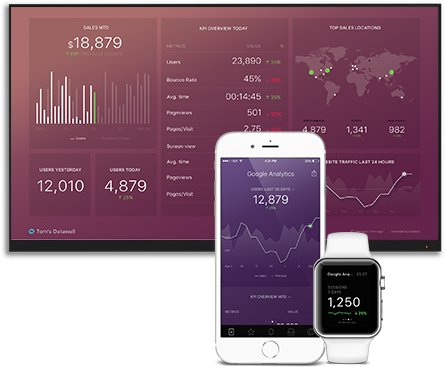 From a beautifully designed app that’s optimized for mobile to a sleek Datawall display that presents data to your entire team, making sure your business has the data it needs has never been easier. Set up in minutes, not weeks. Really. Get your data. Leverage our one-click connections for popular cloud apps or connect your own data using our API and SDKs. All in one place. Aggregate key metrics from every source into the ultimate dashboard. Powerful, yet simple. Use our drag and drop editor to easily create beautiful KPI dashboards. Sign up today to see how Databox can work for you.